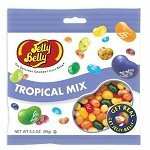 Jurassic World 2 Jelly Beans is themed from the awesome movie Jurassic World 2! 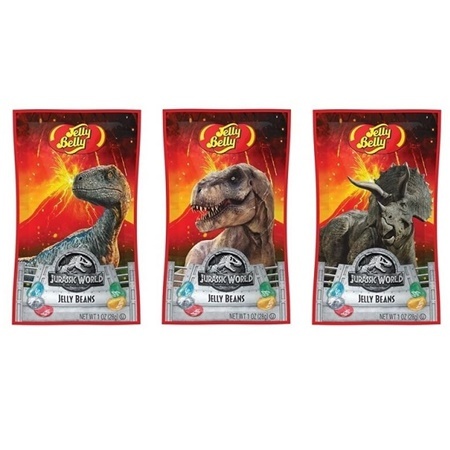 Each pocket sized bag is approximately one-ounce and contains sparkling jelly beans with a vivid image of one of three different dinosaurs. 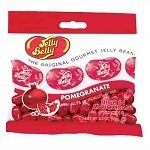 This jelly belly themed candy is fun to have a birthday parties in treat bags, at concessions and snack bars or at your counters to possibly increase candy impulse sales. The size of this delicious treat makes it easy to throw it in your pocket or purse and take with you when you are on-the-go. 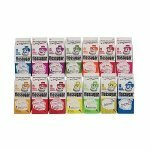 Purchase your jelly beans today!